For those wanting to embrace waterfront living, The Cove's three-bedroom ground floor residences feature extra-large patios with plunge pools. 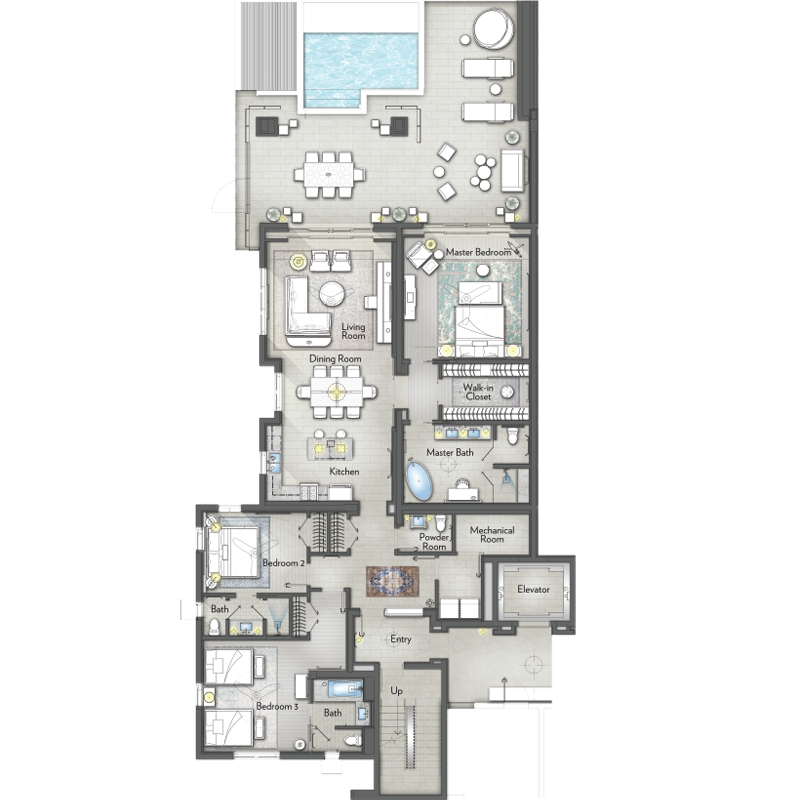 Thoughtfully planned, the fully appointed master suite and living room opens up to a spacious terrace while two secondary bedrooms are grouped together, creating an intimate space for siblings, friends or extended family. Beachfront living has never been this good.